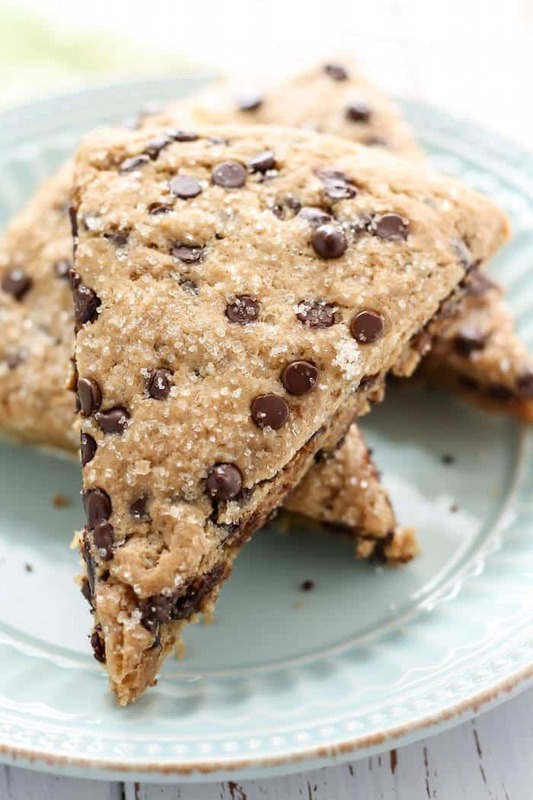 These Vegan Whole Wheat Chocolate Chip Scones have the perfect combination of soft centers with crisp edges. 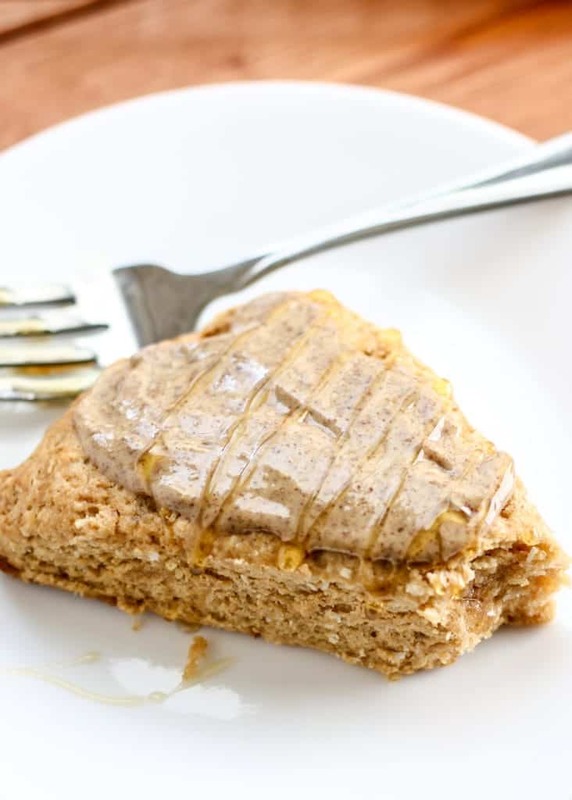 Made with wholesome ingredients like coconut sugar, coconut oil, and whole wheat white flour, you can’t say no to these scones! YOU GUYS. I didn’t even want to wait this long to share these with you but for the sake of my sanity and trying to stick with my blog schedule (not to mention continue packing…) these scones had to wait til today. I made these last weekend and oh my gossshhhhh I can’t even. I just can’t. But before I begin, we all should probably thank Georgie for this chocolate chip scone rendition happening today. A while back now she made my Vegan Cranberry Orange Scones recipe but used chocolate chips instead. Word on the street is they passed her mother’s rigorous scone test, making them “legit”. Well let me tell you, the fussing and love is REAL, my friends. For those wondering if it’s hard to make scones, stop wondering! 🙂 It’s SO EASY. The batter comes together a lot like muffins after blending in the frozen coconut oil. note: if you’re not vegan, you can certainly use butter if you wish. turbinado/coarse sugar for sprinkling, optional but love the crunch it brings! In a large bowl add flour, sugar, baking powder, & salt. Whisk until well combined and set aside. Gently stir in the coconut milk and vanilla extract to bowl of dry ingredients, careful not to over work the dough. 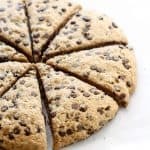 Gently fold in chocolate chips The dough should be thick and slightly sticky. Shape dough into large circle, about 8″ in diameter, on prepared baking sheet. 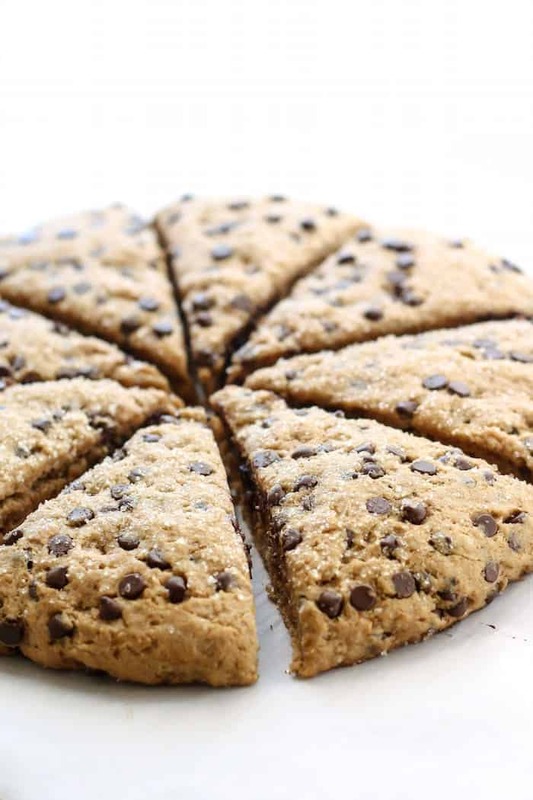 Using a large, sharp knife, make 8 triangle slices into dough. Bake for 17-20 minutes, then remove from oven to re-cut slices and pull apart triangles slightly. Bake for another 5 minutes, until edges and tops are lightly browned. 1half unbleached all-purpose, half whole wheat flour may be subbed. If using ALL whole wheat flour, your scones will probably be more dense and possibly dry. I would add a few more tablespoons of milk if you go this route. Whole wheat pastry flour may be subbed, but I would add 2-4 more TBS of flour if using pastry flour instead of whole wheat white. My vegan scones recipes are adapted from my Whole Wheat Coconut Scones, which originally calls for 1 egg. 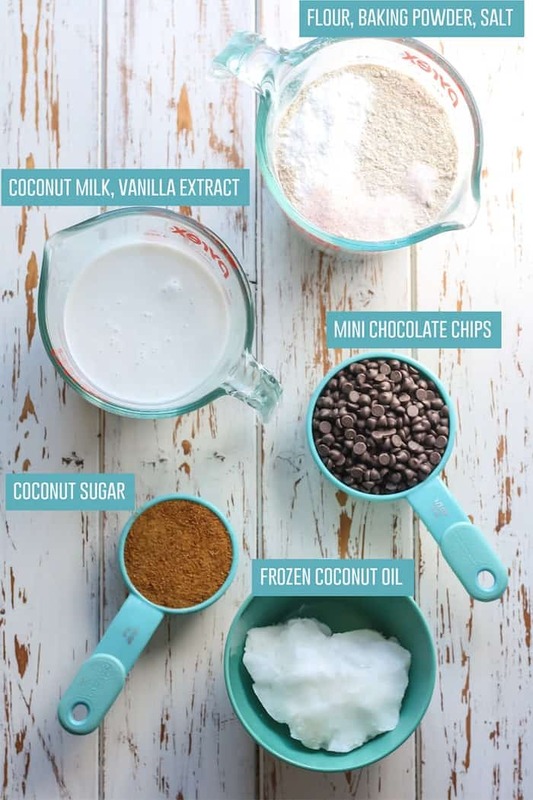 If not worried about keeping vegan, you can also go this route and use only 2/3 cup coconut milk (other milk will also work, but I personally prefer the texture with canned coconut milk as it has a higher fat content). 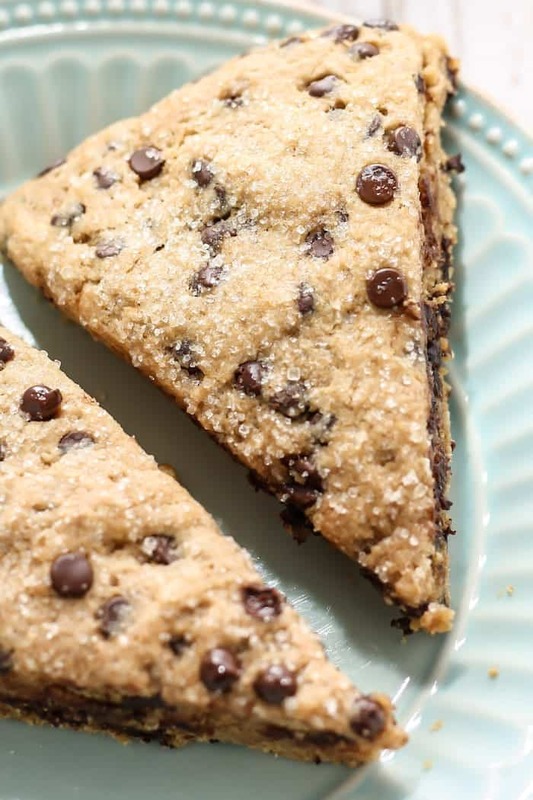 You NEED these Vegan Whole Wheat Chocolate Chip Scones in your life. STAT. Please please pleaseeeeeee tell me you’ll make these?! How the heck do you get such perfectly symmetrical cuts?! Mine was a hot mess LOL these are so yummy. Aren’t the chocolate chips amazing with them!?!? MUST make these. LOL I am very careful and mildly OCD 😉 But yes, the chocolate chips are freaking amazeballs. I can’t wait to make another batch. did you know scones are my FAV pastry? like, my only fav pastry, i dont even like pies. What can you do if you don’t have coconut oil? Is that where you substitute butter? And how much? Hi Gwyn! Yes, you can sub frozen or very cold butter 1:1. So 1 stick, or half cup. I am sure you could use a vegan butter substitute if you’d like, I just have not tried that version myself. Let me know if you have any more questions! ummm, YES! I will for sure be making these next time I’m with my family for a yummy addition to our breakfast table. 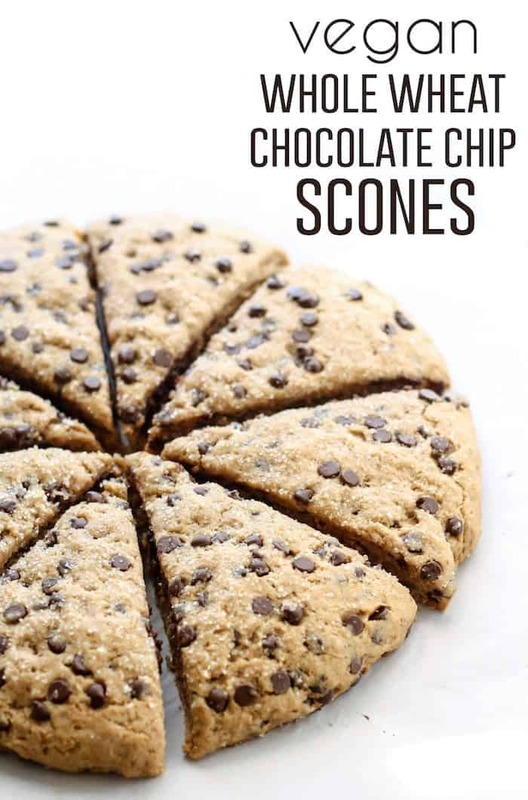 Because, who DOESNT like chocolate chips and a good scone recipe?! I still have yet to make a scone. I really need to get on that! These look so so good! I haven’t made scones in such a long time – but that really needs to change soon! I am always swooning over scones at bakeries. There is something about that subtle sweetness that can’t be beat. 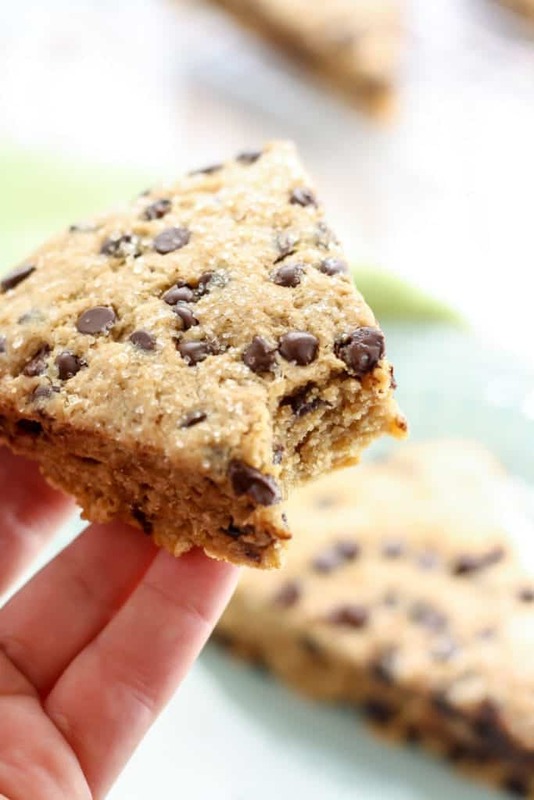 I love that these are made with coconut oil! Pinning for very soon. I agree! I love that scones are not typically over sweet. Perfectly balanced 😉 Thank you Kate! 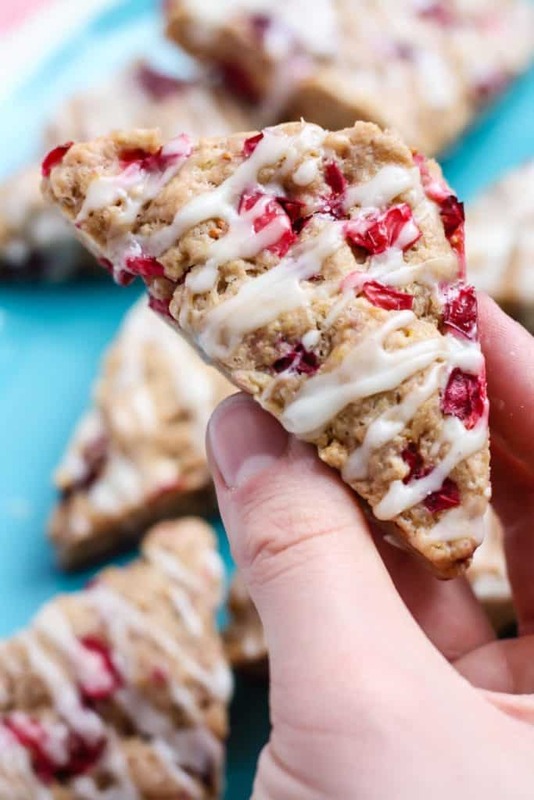 I love scones, especially when they’re vegan! Potluck anyone? DAYUM I would not be able to limit myself to just one scone!! I mean, chocolate chips are life, right?! You are a bomb baker. 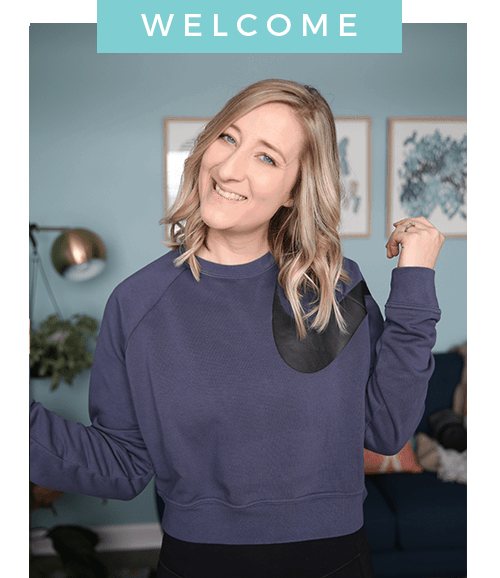 I feel like I would TOTALLY mess up a scone recipe – that’s why I need your recipes in my life – to make sure I’m not a complete failure…. Totally making these this weekend. 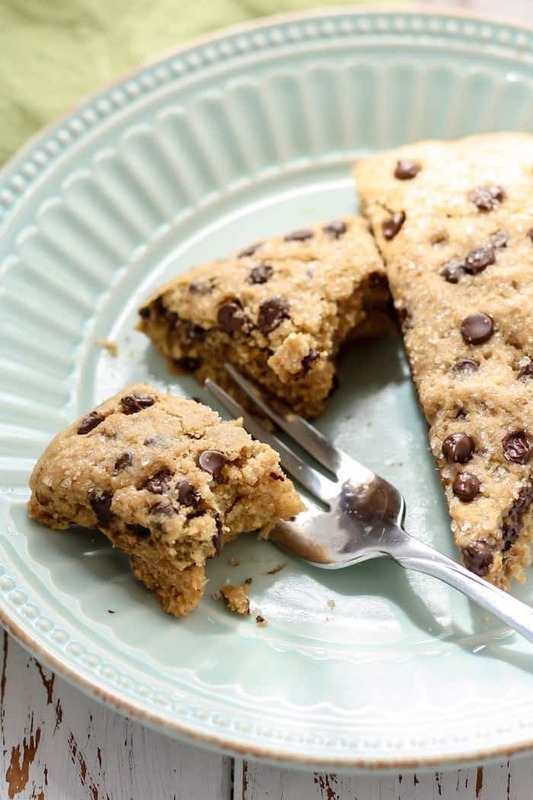 Anything with chocolate chips = the BEST! I’ve never made scones before but these are just calling my name! Oh boy, so these look so good, but I haven’t been able to make your recipes look like your pictures… What am I doing wrong? 🙂 I haven’t made this one yet, but I think I need to learn from you and Georgie. 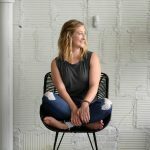 Love all the photos here, Ash!! They look like the PERFECT texture – firm on the outside, yet a great combo of fluffy and crumbly-ish on the inside. I know, I’m really good at describing things…haha. Those make me hungry. I’ve got to try this recipe for sure. How long would these last in the freezer and what’s the best way to thaw them? Hi Marie! If wrapped tightly and kept in an airtight container, the baked scones should last about 2 months. You can allow the scones to come to room temperature, or if you’re looking to enjoy right away, you can pop them in the microwave, about 30 seconds or so depending. Hope that helps! My sister and I made these last night. The texture on them is AMAZING. OMG so incredibly good. Between her, my boyfriend and I, these babies aren’t going to last the day. – We only had coconut cream on hard so we mixed 3/4 cup coconut cream with 1/4 cup water and that worked well. I’m sure the fat content of the coconut cream only helped the texture. – We added fresh strawberries because we had them and it sounded like a good idea. Turns out you have to almost double the cooking time if you add fresh fruit because of all the moisture. It still worked out and they turned out amazing, but a lesson learned! These look amazing! And I love that they are healthyfied! I’ve never made scones so far, always feared they were complicated, but all your scone recipes make me want to try my hand at them. How do you grate the frizen coconut oil, doesn’t it soften in your hand? Aw thanks Stella! You really ought to try it, truly easy. 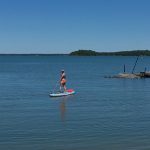 -The coconut oil does soften a bit, but not too much. I try to do it as quickly as possible. I have also roughly chopped the chunk of frozen coconut oil before too. Both seem to work as long as your coconut oil is frozen solid. 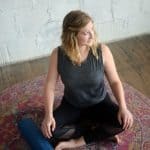 Do you know if gluten-free all purpose flour could be subbed? Or coconut flour? 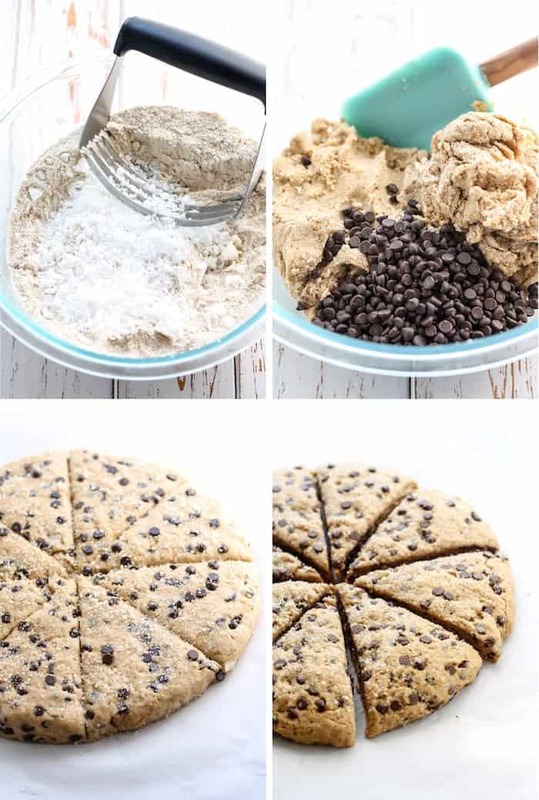 I’m dying to try these but I’m allergic to gluten! My best advice is to try a 1:1 gluten-free all-purpose. I hear Bob’s Red Mill has great one. I have yet to try the recipe out myself yet, but I will have to put it on my list! Let me know if you give it a try 🙂 –definitely not coconut flour though because of it’s unique properties absorbing liquid. hi, I finally made these and they turned out terrible. I thought I followed your recipe to the T. I am thinking maybe my coconut oil wasn’t frozen enough? (I froze for 2 hours). it grated into a sloppy mess. i still worked it in and had to chop the rest as it would not grate. I also used canned full fat coconut milk and the coconut sugar. It was so wet (maybe I should have added more flour?). I used wheat pastry flour. I still baked it and had to cook it about 10 minutes longer. I thought well it will still taste good. NOPE. Very bland, hardly any flavor. So disappointed. Right now it’s sitting in my freezer thinking maybe I’ll use for a pie crust of some sort? 🙁 PS. I bought the Withings watch though because of the photo here. that girl should get some credit LOL .